Thanks to the lovely Smittens Kitten for letting me steal her blog for the day! 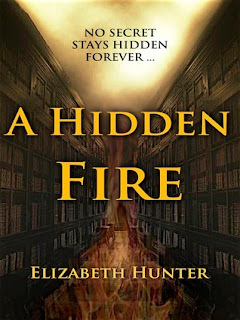 My name is Elizabeth Hunter, and I’m writing today about my debut novel, A Hidden Fire, on sale today at Amazon and Barnes & Noble and Smashwords. I also wanted to post a little about the Dia de los Muertos holiday celebrated in Mexico and the American Southwest at the beginning of November. In my paranormal romance, A Hidden Fire, one of the first social interactions Gio and Beatrice have is a community center celebration of Dia de los Muertos or Day of the Dead. Originating in Mexico, Dia de los Muertos is a holiday that blends indigenous Native American traditions with the Roman Catholic celebration of All Saints Day and All Souls Day. “Do you know much about Dia de los Muertos?” Beatrice asked as they walked. He shook his head. “Not much. I haven’t spent a great deal of time in Latin America.” He knew plenty, of course, but he preferred to hear her explanation. “It’s not usually celebrated until November second, but the art center hosts a family fair on Halloween so parents have an option other than trick-or-treating for the kids.” Beatrice smiled at a pair of small children in skeleton costumes with ﬂowers in their hair as they rushed past on the way to the carnival games. The meaning behind this unique celebration is that the dead should not be mourned, but celebrated, and that by honoring their souls through gifts and decorations, the souls will “meet” the living and hear their prayers. Humor and celebration is encouraged and the day has become the equivalent of a national holiday in Mexico. Often dancing, singing, poetry and art are part of family or community celebrations. The women stepped back to examine the effect, whispering to each other in Spanish but smiling and laughing as well. Giovanni cocked his head and looked around the room. Though it was ﬁlled with symbols and depictions of the dead, there was no fear and very little sorrow. It was unusual to ﬁnd such celebration in the name of loss, and he found himself touched by the demeanor of the partygoers. While traditions vary in different communities, most include an altar set up either in home or local cemeteries and decorated with pictures of loved ones, along with marigolds, toys for children, and favorite foods and drinks of the deceased, which are then eaten by friends and family after the celebration. Though the initial setting is in Texas, the Elemental Mysteries is an international story, with characters originating in Europe, the Americas, Asia, and North Africa. Since I was dealing with such a huge cast of characters from so many periods of history, the series involved a lot of research. Luckily, many of the settings are places I have traveled or lived personally! While I’ve been writing online and professionally for a while, A Hidden Fire is the first time I’ve published a novel of this length. The journey to independent publishing has been a crazy ride, but I’ve met so many amazing people along the way. 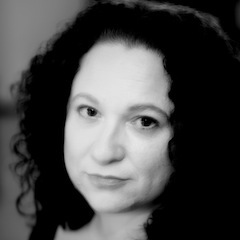 If you want to learn more about the books, subscribe at the website, ElementalMysteries.com. Thank you Elizabeth, for the great post about Dia de los Muertos and introducing everyone to A Hideen Fire. It was a pleasure having you on my blog. Elizabeth is giving away one copy of her book A Hidden Fire to a reader. This giveaway is open to EVERYONE so all you have to do to enter this giveaway is leave a comment for Elizabeth along with your profile link or email address. Winner will be chosen on 1st November. elizabethhunterwrites.com or contact her by e-mail at elizabethhunterwrites@gmail.com. A Hidden Fire is her debut novel. I'd love to win a copy! I loved the sneek peek I read months ago. Sounds like a really great book, I would love to win it. Thanks for the giveaway.